Uncategorized Archives - Princeton Orthopaedic Associates, P.A. At this time we would like to announce the addition of three new physical therapists to Princeton Orthopaedic Associates. They will join our team consisting of 16 Physical Therapists, 5 Physical Therapy Assistants and 1 Occupational Therapist to make POA a PT powerhouse! Physical therapist Jennifer Kole reunited with us again from her own practice…Read more. June, 2039, Two Princeton University Seniors are killing their time between their last finals and graduation day, decide to play some one-on-one basketball in Dillon Gym. Neither one has exercised since high school and the game ends when one of them wrenches a knee – the sound of cartilage tearing can literally be heard. 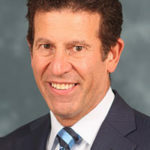 Dr. Jeffry S. Abrams elected President of the Arthroscopy Association of North America (AANA). We are pleased to announce that Dr. Jeffry S. Abrams has been elected President of the Arthroscopy Association of North America (AANA). Dr. Abrams who has been with Princeton Orthopaedic Associates for over 30 year will serve a one year term. AANA is The Arthroscopy Association of North America and is a provider organization accredited by…Read more. 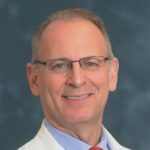 Dr. Grenis has been practicing orthopaedic and hand surgery in Princeton since 1990. 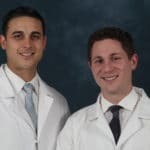 Dr Grenis brings special interest and advanced training in hand surgery encompassing the evaluation and treatment of conditions such as carpal tunnel syndrome, tendonitis, fractures and ligament injuries of the hand and wrist. 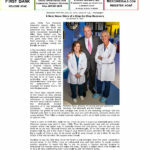 In addition, for the past 3 years Dr. Grenis…Read more. 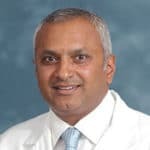 Dr. Hari Bezwada, an orthopedic surgeon who specializes in adult hip and knee replacement, has been named the Medical Director of the Marjorie G. Ernst Joint Replacement Center of Excellence at Capital Health Medical Center – Hopewell. Last year, Dr. Bezwada served as physician champion for Capital Health to receive disease-specific certification for Total Joint…Read more.